To download the Marine Historical Society Brochure PDF File click the following link. To download the Marine Businesses in Marine Brochure PDF File click the following link. To download the Marine Rural Businesses Brochure PDF File click the following link. Second Monday of every second month at 7:00 p.m. The town of Marine, Illinois was laid out in 1834, by George W. Welsh, James Semple, Jordan W. Jeffress and Abram (aka Abraham) Breath. 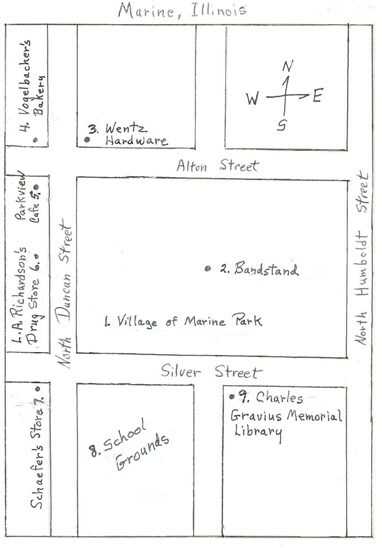 It included a centralized park with wide streets that crossed each other at right angles and were named. Business houses were erected along the main street which was named Duncan Street running from north to south through the town. The town was given the name in remembrance of the early settlers being sea-faring pioneers. 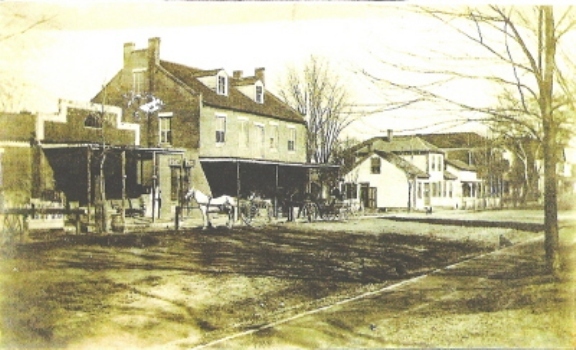 In the early days, many referred to Marine as Marinetown. The town was platted on 10 May 1836, and recorded in the Madison County Courthouse on 14 July 1836 by Abram Breath, George W. Welsh and Mary Welsh. As one stands along the parade route awaiting the parade, let's reflect on some of the historical buildings surrounding the park as designated on the map. As Marine was laid out and platted, Abram Breath wanted to ensure that the town had a beautiful park. Therefore, he donated approximately 4 acres of land and designated it to be the Marine park. 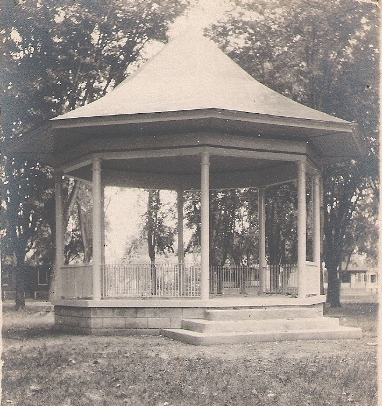 Henry Pahlmann (an early day artist) designed the architecture of the bandstand. On 08 September 1912, the band stand was dedicated. Through the years, it has been maintained and essentially looks the same. Friedrich Wentz built the hardware store in 1858. 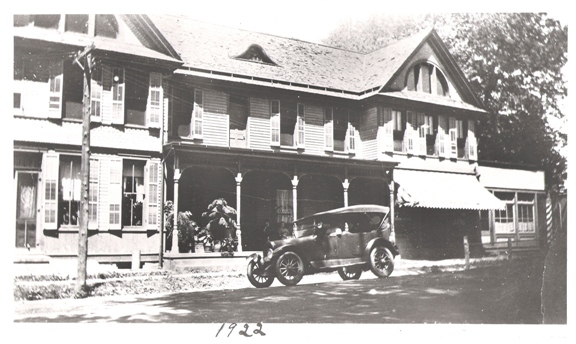 It was owned by three generations - himself; his son, George; and, his grandson, Cleo Wentz. 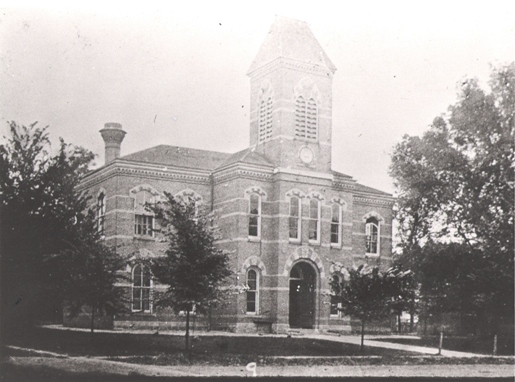 The original building was torn town in 1924 and replaced with a brick building. After Cleo's death in 1984, the store was sold. Today, it houses a printing shop, Kelly Tracy, Advertising & Design; and, a motor sport equipment shop, Goodall Sport Service. History of this property dates back to 14 June 1836 when Abram Breath & George W. Welsh and Mary, his wife, deeded the property to John L. Ferguson. It was sold to Joseph Vogelbacher, Sr. on 11 October 1898. He opened his bakery. After his death, Edwin Ed (his son) continued to operate the business until 1980. Today, it is a residence. Early history shows that on the north end of the Parkview Hotel was a small building. 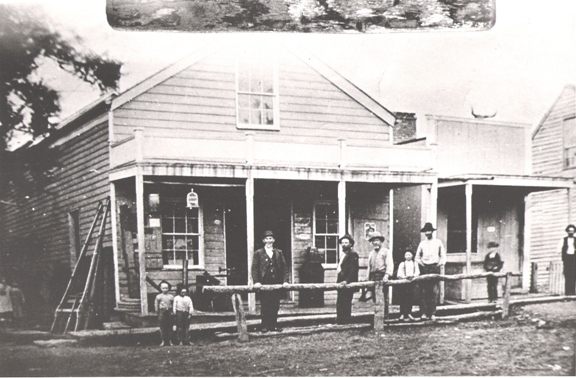 After the hotel was torn down, this building remained and was used as a restaurant and remains open today. 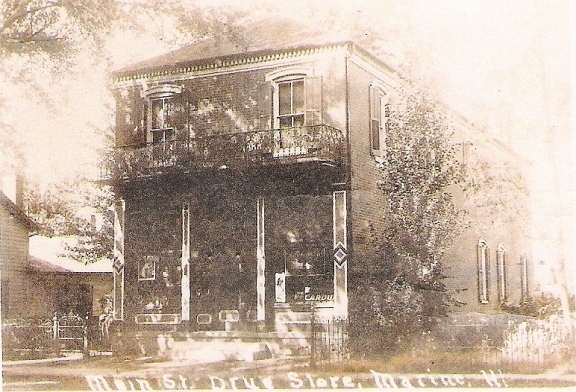 L. A. Richardson built this drug store in 1878. Today, it is an apartment building. This is probably the oldest building still standing in Marine. It is thought to have been built before 1840. Since 1878, it was a mercantile/grocery store. 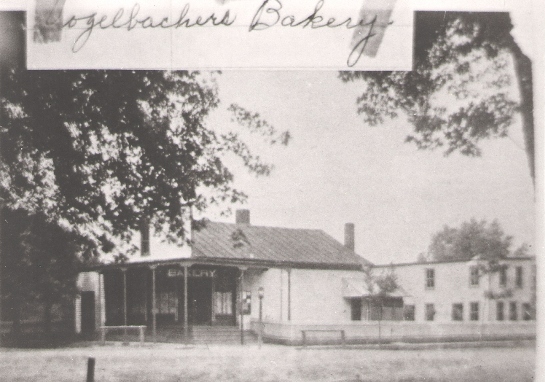 It was owned and operated by Henry Gehrs and sons Otto and Oscar Gehrs; Louis Kolb and son Leo Kolb; and, finally by Raymond Ray Schaefer and his daughter, Grace Schaefer. The store closed in January 1988. Today, the building is vacant. Directly south of the park is an empty block where the homecoming rides are. This was once the location of the Marine Public School which educated grades 1 through 8 and three years of high school. It was built in 1874 of brick produced by the Marine brick yards - F. Tiemann & Co. The building was razed in August 1966. In 1910, the building was built for the American Woman's League and dedicated in 1911. In 1938, it became the Marine Library. Charles Gravius willed $4,000.00 to the library in 1940 with the stipulation that it be called the Gravius Public Library . Today, the name of the library is Gravius Memorial Library. The library was closed for a period in later years but is now open on a limited schedule. The look of the exterior of the building has not changed over the years. It is on the National Register of Historical Places.